Please note this is specific manual (non general installation). Why Linux CentOS ? First of all it is the replica of RedHat. Second – it is stable, if the package is inside the CentOS – means this package is almost bugs free. Third – if you wish to install new packages and avoid dependencies hell, you can use standard YUM and be happy. It is also the only true alternative to RedHat linux. So which way of installation to choose ? I prefer CentOS x64 bit version, due to the heavy load web projects requires definitely more than 4GB of RAM. I also prefer CentOS network boot installation where you can get only 15 MB file like ‘CentOS-5.6-x86_64-netinstall.iso‘. Such a small image will give you opportunity to install you server via the following tools like KVMoverIP and brand solutions like DRAC (Dell), RSA (IBM) or iLo (HP). Once you’ve downloaded the image and will start installation you will see the screen like this. This will gives you opportunity to start the installation in text mode and also will allows you to format your drive in EXT4. 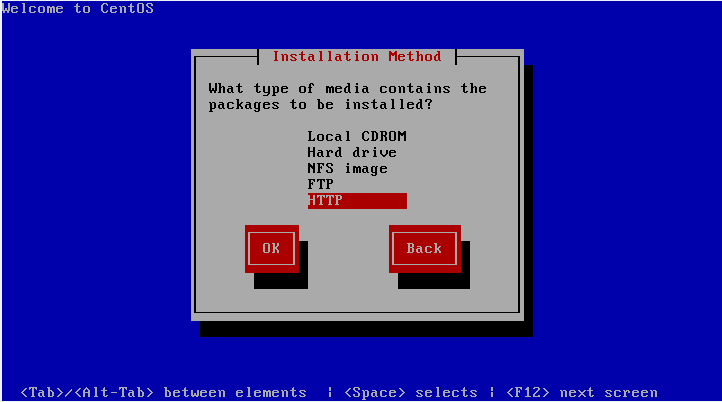 The rest questions in wizard are quite simple, until you’ll be asked where from to install the rest. Setup you network setting (be sure that you use configuration which allows you to access the internet). If it’s not possible this manual is not for you. 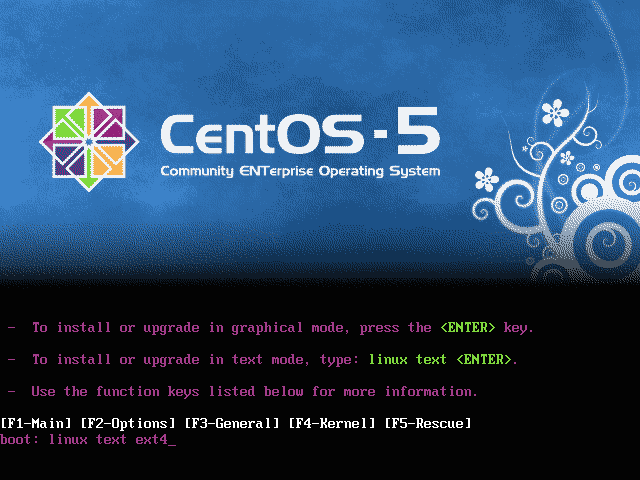 and depends on the version of CentOS you need to install CeontOS directory: centos/5.6/os/x86_64/(for x64 version) or centos/5.6/os/i386 (for x86). 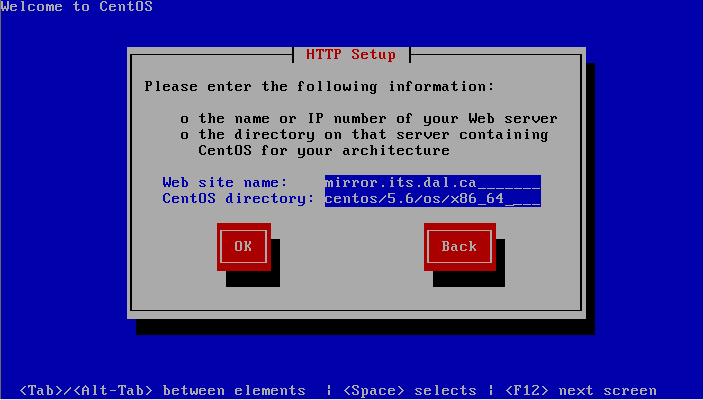 So as you see this is quite simple, and using this example you can install CentOS from any working mirror in the world which is fastest for you. 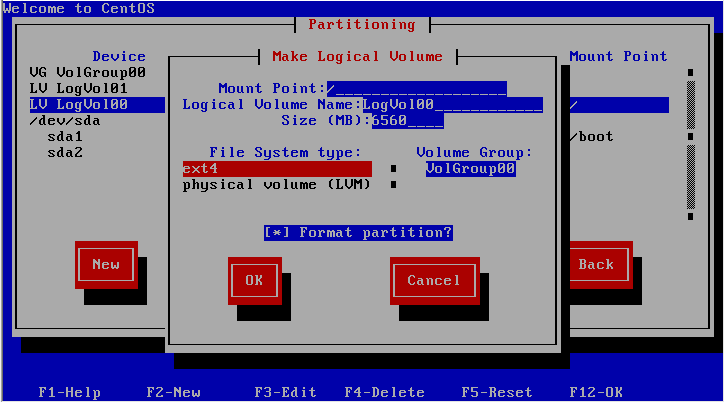 HDD partitioning is pretty simple, don’t forget to select EXT4 while preparing the partition. Next step is software selection. For sure you may need something else, but anyway you can install the rest later on. This is it. After successful Linux CentOS installation you got the system ready for further installations.